Why not ask if your club or studio will host a certification? It can be tough to find a local Instructor certification near where you live. One option would be to ask if the club/studio where you ride would (or could) host an in-house certification. B. enough participants to justify the expenses. Do I need Fitness Instructor Professional Liability Insurance? Many independent Indoor Cycling Studios hire Instructors as independent contractors, not as actual employees. 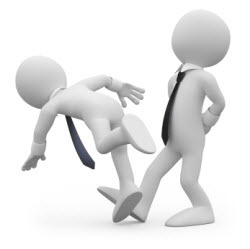 This creates a situation where you aren’t covered by the studio’s general liability insurance policy – you’ll need to get your own insurance to cover you if (God forbid) anyone was to get injured during one of your classes. What you’ll need is a Fitness Instructor Professional Liability Insurance policy. Many of us have questions about this so I’ve posted an interview with an insurance company representative linked above. P.S. The post includes information about where I purchased a policy that saved me $58.00 from any of the other insurance providers I’ve found, including the insurance offered through ACE and IDEA. 20% discount is toward the full conference – not the orientation. 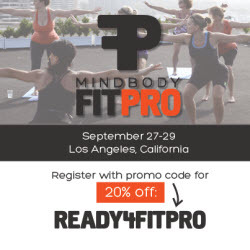 Mad Dogg Athletics is hosting a Spinning® Instructor Orientation in Los Angeles, CA as part of the MINDBODY FitPro conference September 26th. Become one of the world’s most sought-after fitness instructors—a certified Spinning® Instructor. This 9-hour orientation is your first step. 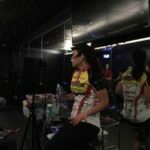 Topics include bike setup, the five core movements, three hand positions, choosing music, creating a 40-minute Spinning journey, safety considerations, teaching techniques, Spinning philosophy, heart rate training and a three-phase instructor training program. After completing this orientation, you will be qualified to teach the Spinning program at any official Spinning center throughout the world. Certification will be awarded after completing the self-paced instructor training program and successfully passing the assessment. Please bring a heart rate monitor, water bottle, energy food, towel, clothes for two rides, bike shorts, stiff-soled shoes and a pen or pencil. There will be a lunch break mid-day. Registration fee includes the Spinning Instructor Manual, SPIN membership and a certificate of completion. A certified instructor card will be issued upon successful completion of the assessment. 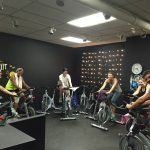 Heart Zones is the leader in Instructor education if you want to move beyond teaching basic Indoor Cycling classes and become more of a coach to your students. Now you can participate remotely and earn your Heart Zones Certification on-line.